Miramar Mayor Wayne Messam is seeking the Democratic nomination for president. We asked the South Florida native about why he decided to run, what makes him qualified, and about his time as a football player at FSU. The growing field of candidates seeking the Democratic nomination for president in 2020 has increased by one more Thursday thanks to one South Florida mayor throwing his hat in the ring. 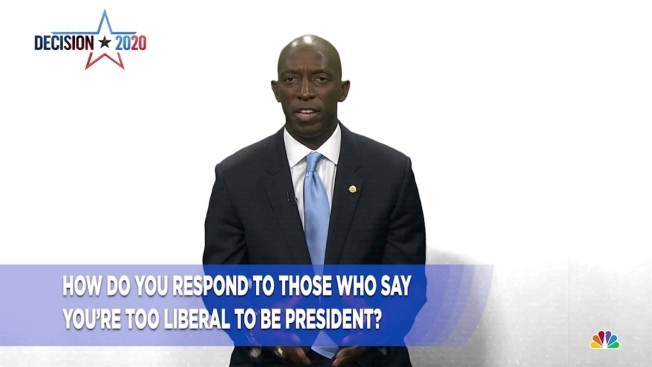 In a video released Thursday morning, Miramar Mayor Wayne Messam announced his candidacy for the nomination ahead of a rally scheduled for Saturday on the campus of Florida Memorial University. Highlighted by the slogan “Wayne for America,” Messam tapped into his life experiences as the son of Jamaican immigrants who grew up in South Florida before staring as a football player at Florida State University – where he also served as student government vice president - and later becoming a successful businessman in Broward County. “I'm running because the American dream is slipping away from many Americans," Messam said in an interview with NBC6.com, his first since releasing the announcement video. "To be able to buy a home, have their kids go to great schools, live in a safe community - these are really important issues that are important to the American people." Messam served one term on the city commission before becoming mayor in 2015 and winning re-election earlier this month. He had previously announced an exploratory committee into a possible presidential run and had been a visible presence on the campaign trail for both Hillary Clinton during her 2016 campaign and Andrew Gillum’s run for Governor of Florida in 2018. His positions are liberal. He wants universal health care, student loan forgiveness, infrastructure improvements, and to focus education toward a high-tech future. He would ban military-style rifles. "I don't subscribe to the designation of labels," Messam said. "I subscribe to solutions."